Home » News » Posts » The Birds! This time of year in our region is pretty special. 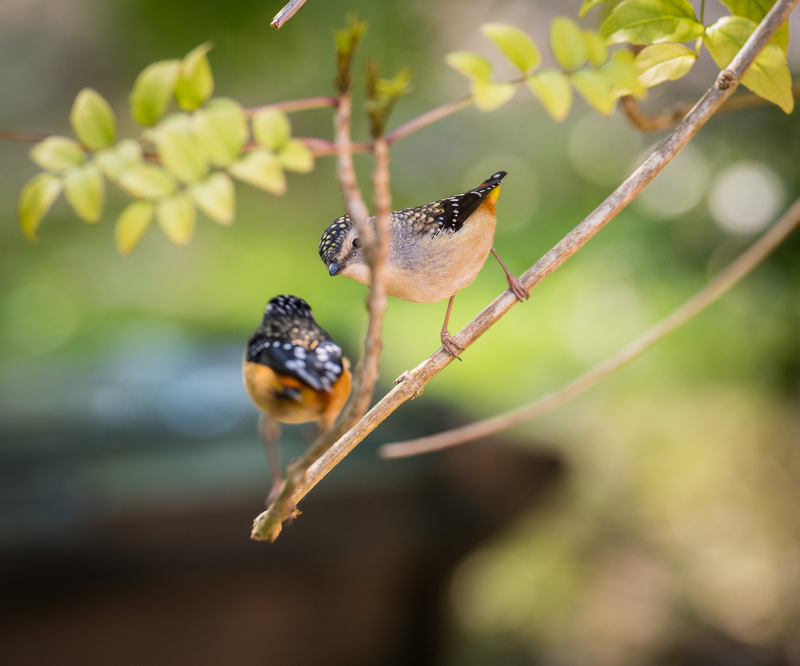 Spring has begun to make its presence known and our birds are either arriving from long journeys or beginning their annual activities preparing for the arrival of new offspring. Our region is a bird-lovers paradise, with our native species providing many exciting moments for ardent “twitchers”. 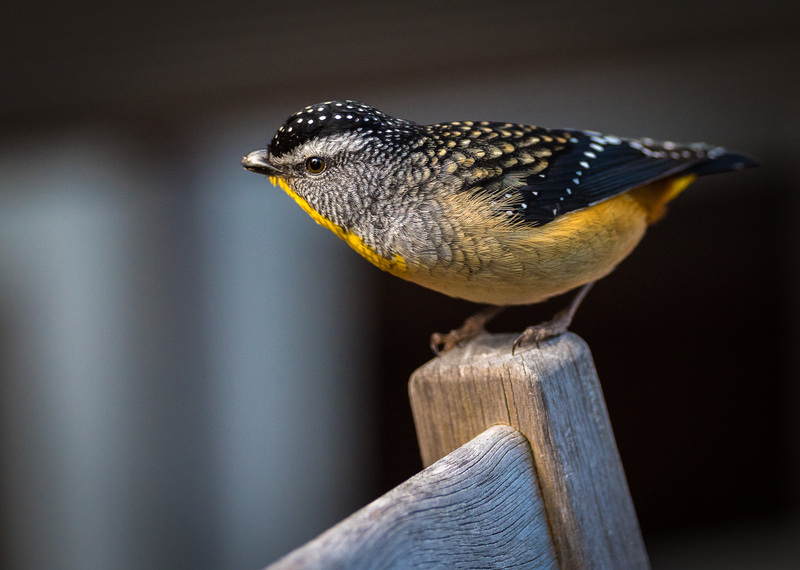 New arrivals include the endangered Swift Parrott which can be spotted flitting amongst the gum trees or feeding in small noisy groups amongst flowering gums. 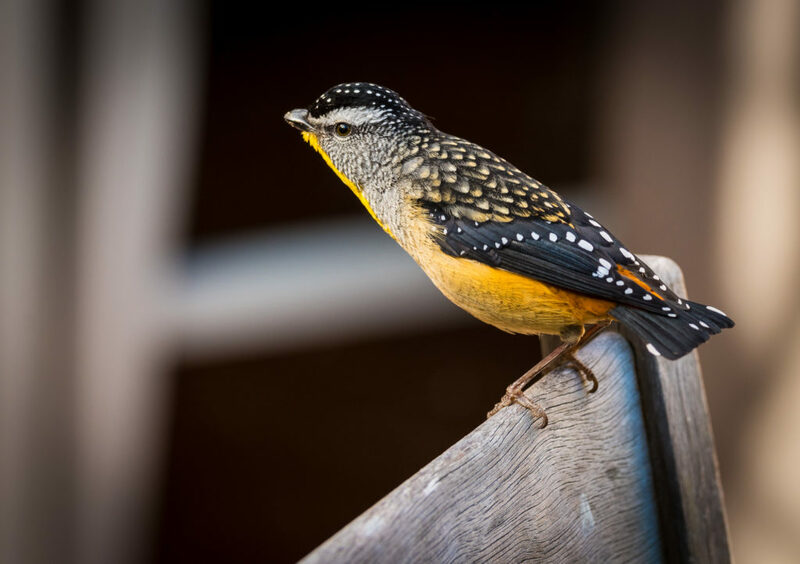 The biannual Bruny Island Bird Festival kicks off on 19 October 2018 with plenty on offer to make it a really entertaining and informative event. 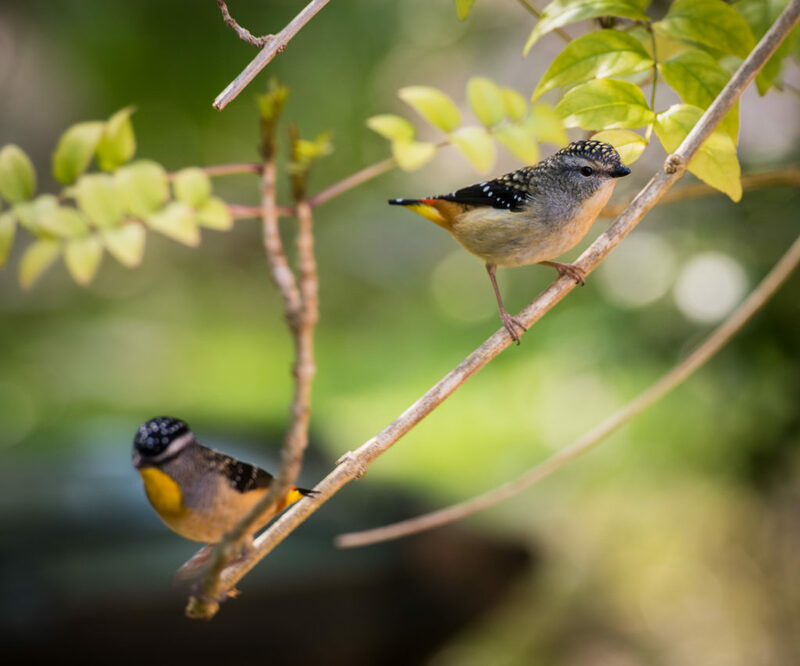 Whilst working in the garden yesterday we were accompanied by a special pair of pals … Spotted Pardalotes … a nesting pair. Also known as Diamondbirds they are a treat to see in such close proximity.